The question of the number of “political prisoners” in Cuba is subject to controversy. According to the Cuban government, there are no political prisoners in Cuba, rather they are people convicted of crimes listed in the penal code, particularly the act of receiving funding from a foreign power. In its 2010 report, Amnesty International (AI) describes “55 prisoners of conscience”1, of whom 20 were released in July 2010, followed by another six on August 15, 2010 after mediation by the Catholic Church and Spain, and later another two.2 Thus, according to AI, there are currently 27 “political prisoners” in Cuba. Finally, the Cuban opposition and, more precisely, Elizardo Sánchez of the Commission on Human Rights and National Reconciliation (CDHRN) put the number at 147 political prisoners, minus the 6 recently freed, in other words, 141.3 The Western media favor this latter list. First, before raising the question of the exact number of “political prisoners” in Cuba, it is worth clarifying one aspect of this issue, i.e., the existence or non-existence of financing of the Cuban opposition by the United States. This policy, carried out clandestinely from 1959 to 1991, is now public and confirmed by many sources. Indeed, Washington has acknowledged this fact in various documents and official statements. The 1992 Torricelli law, in particular section 1705, states that “the United States Government may provide assistance, through appropriate nongovernmental organizations, for the support of individuals and organizations to promote nonviolent democratic change in Cuba.”4 The Helms-Burton Act of 1996 provides in Section 109 that “the President [of the United States] is authorized to furnish assistance and provide other support for individuals and independent nongovernmental organizations to support democracy-building efforts for Cuba.”5 The first report of the Commission for Assistance to a Free Cuba proposed the development of a “solid support program that promotes Cuban civil society.”6 Among the measures envisaged was funding, totaling $36 million dollars, destined to “supporting the democratic opposition and strengthening an emerging civil society.” The second report of the Commission for Assistance to a Free Cuba proposed a budget of $31 million to further finance the internal opposition.7 The plan also provided for “the training and equipping of independent print, radio, and TV journalists in Cuba.” 8. Let’s recall now the position of Amnesty International. The organization speaks of 27 “political prisoners” in Cuba as of August 15, 2010. Nevertheless, at the same time AI recognizes that these individuals were charged for having “received funds and/or materials from the United States government in order to engage in activities the authorities perceived as subversive and damaging to Cuba”.21 Thus, the organization found itself in a contradiction, in that international law considers the financing of the internal opposition in another sovereign nation to be illegal. Every country in the world has a judicial arsenal establishing the illegality of such conduct. U.S. and European laws, among others, strongly sanction the act of receiving funds from a foreign power. The Cuban government has made a notable gesture by proceeding to free prisoners considered to be “political prisoners” by the U.S. and some organizations, such as Amnesty International. The primary obstacle to the normalization of relations between Washington and Havana – from the point of view of the Obama government – no longer exists. That being the case, it is up to the White House to make a reciprocal gesture and put an end to the anachronistic and ineffective economic sanctions against the Cuban people. Article in french : Cuba et le nombre de « prisonniers politiques », August 16th 2010. 2 EFE, «Damas piden a España acoger a más presos políticos», 25 de julio de 2010; Carlos Batista, «Disidencia deplora ‘destierro’ de ex presos», El Nuevo Herald, August 15, 2010. 9 Associated Press/El Nuevo Herald, «Cuba: EEUU debe tomar ‘medidas’ contra diplomáticos», May 19, 2008. 10 Associated Press, “Cuban Dissident Confirms She Received Cash from Private US Anti-Castro Group”, May 20, 2008. 14 Agence France-Presse, «Financement de la dissidence: Cuba ‘somme’ Washington de s’expliquer», May 22, 2008. 16 Jeff Franks, “Top U.S. 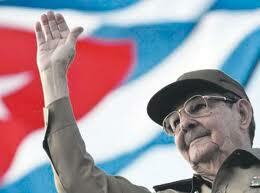 Diplomat Ferried Cash to Dissident: Cuba”, Reuters, May 19, 2008. 17 Ben Feller, “Bush Touts Cuban Life after Castro”, Associated Press, October 24, 2007. 19 Radio Habana Cuba, “Former Chief of US Interests Section in Havana Wayne Smith Says Sending Money to Mercenaries in Cuba is Illegal”, May 21, 2008. 20 Wayne S. Smith, “New Cuba Commission Report: Formula for Continued Failure”, Center for International Policy, July 10, 2006. 24 Paul Haven, “Number of Political Prisoners in Cuba Still Murky”, Associated Press, July 23, 2010. 26 EFE, “España pide a UE renovar relación con Cuba”, July 27, 2010. 27 Paul Haven, “Number of Political Prisoners in Cuba Still Murky”, op. cit.